NTSIPL (Nohara Trading & Services India Pvt. Ltd.) a US 1.15-Billion-Dollar Company and 100 % subsidiary company of Nohara Holdings, Japan which has a history spanning 400 years and long experience. It has come up with very innovative business models in field for modern and easy Infrastructure techniques in India. 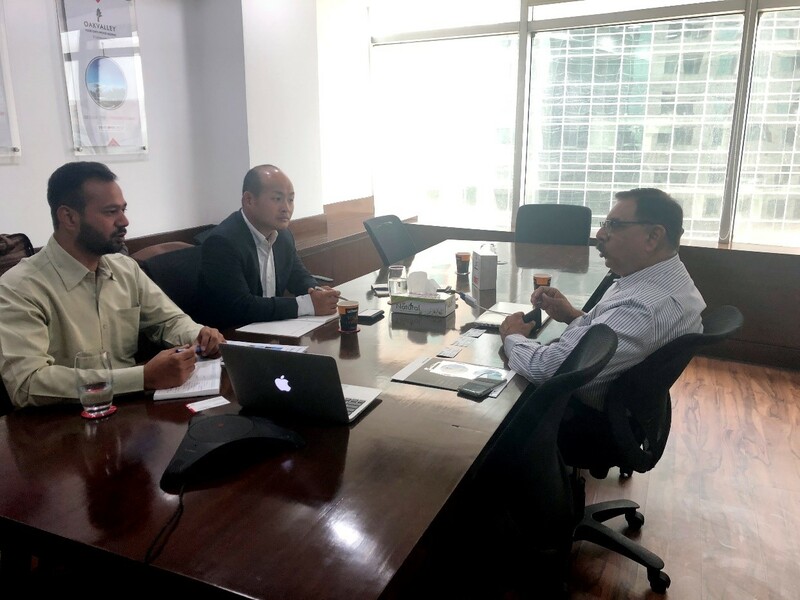 We had a very delightful discussion with Mr. Mehra and a wonderful opportunity to discuss about the future of Indian industries and to collaborate for working towards sustainable development and growth rapidly. Investor in Developer Group, A FDI Real Estate Company, capitalized through funding from leading Japanese institutional and corporate co-promotors. Company managed by a team of real estate professionals and Mr. Albin David Rebello (Current MD Developer Group & Ex. MD DLF) who is bringing together vast knowledge and implementation skills along with strategic Global Alliances. Wall panels branded as‘Samurai Panel’ made of calcium silicate boards, cement, sand and expandable polystyrene styrofoam (EPS), NTSIPL is planning to setup their manufacturing soon in India and currently they are importing these panels from their manufacturing facility in Indonesia. Roof top solar technology with a very innovative scheme of implementation to minimize the existing operating cost and to promote green energy. Although the real estate market is facing major challenges from last several years, but we all know that it has the huge potential. Also the real estate industry is the third largest industries in terms of employment generation and significant contributor in Country’s GDP. It is predicted that housing sector is expected to contribute 11% of India’s total GDP growth by 2020. It means industry needs a change which could be in terms of technology and project execution, i.e. according to the fast paced working environment, where we need to cope up with tight deadlines to achieve the desired results. Nohara came up with the ready to use wall panels called ‘Samurai Panel’, so-called Beltecno is also having diamond shaped stainless-steel panels for tanks. Both the technologies could be game changers with high rate of ROI (Return on Investment). 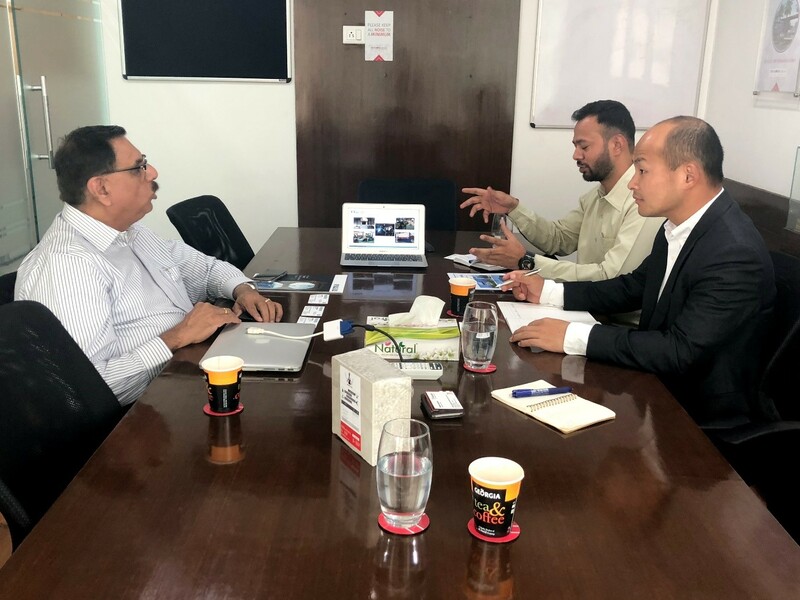 Followed by our discussion, we discussed about the collaboration of technologies between Nohara and Beltecno to introduce our products in current and upcoming projects. We BIPL is thankful to NTSIPL for this opportunity to share the real estate industry insights and for the other useful information.